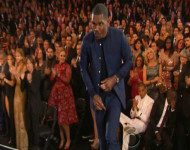 So what if Chris Brown didn’t give Frank Ocean a standing ovation at the Grammys? Guess what – Miguel didn’t stand up either. Song of the Year at the 2013 Grammys features songs by Kelly Clarkson, Ed Sheeran, Fun, Miguel, Carly Rae Jepsen. 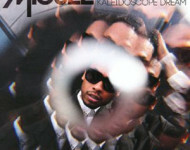 Here’s our 2013 Grammy prediction for Best Urban Contemporary Album, which pits Frank Ocean against Chris Brown and Miguel.